In addition to our indoor fireplaces, The Fireplace Hut offers outdoor fireplaces as well! These can be installed in your backyard and offer a stunning appearance while keeping you warm at the same time. Our outdoor fireplaces come in a variety of styles, ensuring a seamless aesthetic when it comes to the individual characteristics of your home. 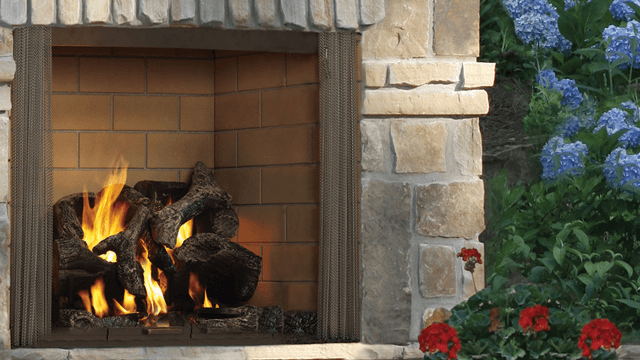 Learn more and get started with an appointment by giving us a call at The Fireplace Hut today. Adding an elegant fire table or pit to your backyard patio creates a gathering area with the ambiance of a campfire without the work and mess of a real wood fire. 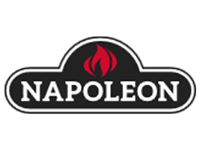 We sell Napoleon’s Patioflame fire tables and pits for your backyard setting. 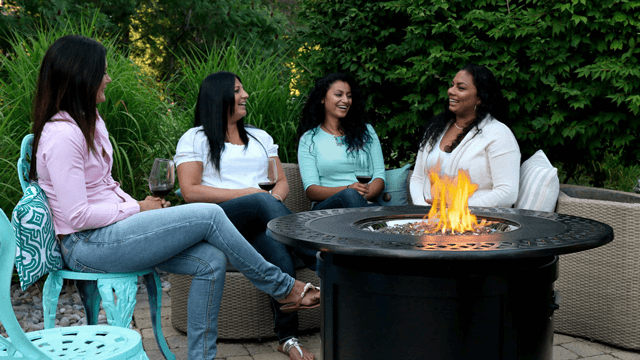 Enhance your patio today by purchasing your new fire pit or fire table from The Fireplace Hut! Create a welcoming and relaxing atmosphere by upgrading your outdoor living space with a wood burning fireplace. 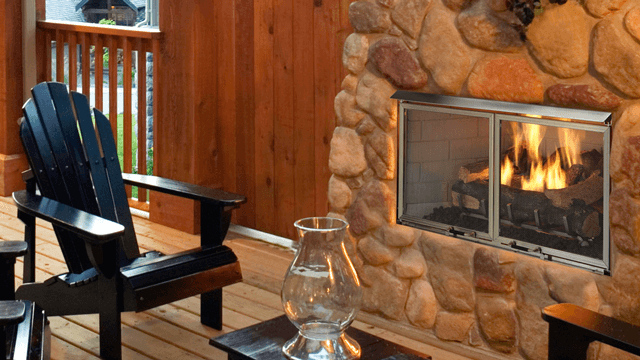 The Fireplace Hut offers outdoor wood fireplaces from Heat & Glo. Check out the stylish collection, and purchase one today to create an ambiance that only a live wood fire can provide. 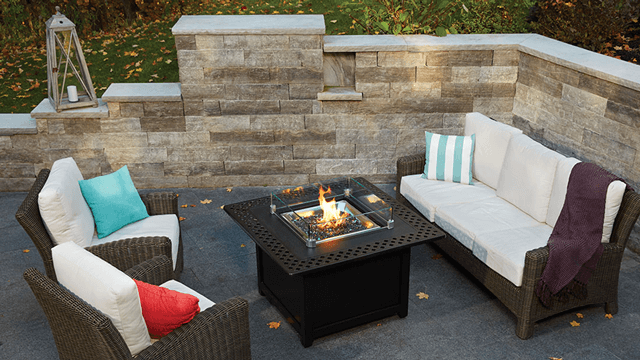 We have a selection of gas outdoor fireplaces, some of which you can utilize two spaces at once. 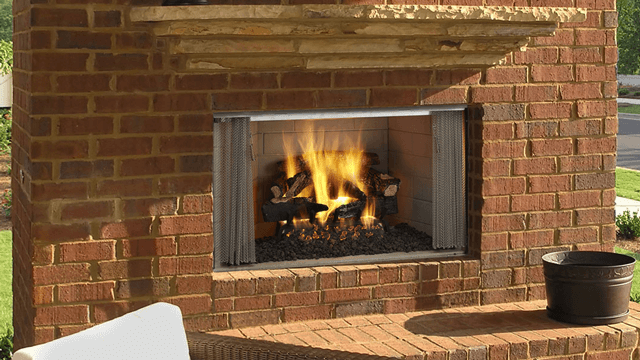 Seamlessly integrate your indoor and outdoor living area with a see-through gas fireplace. 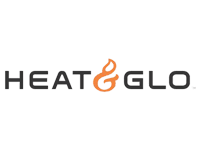 The Fireplace Hut offers traditional and see-through gas fireplaces from Heat & Glo. 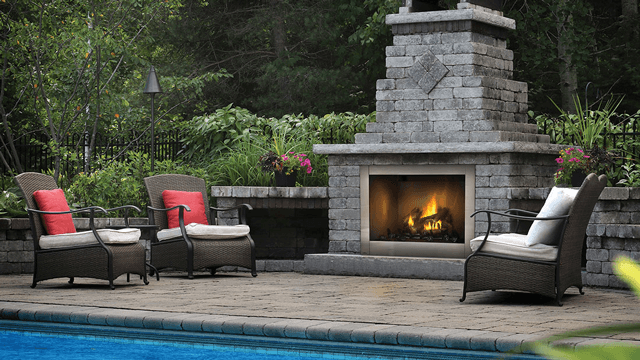 Explore the collection, and add a gas outdoor fireplace to design a modern look for your home!